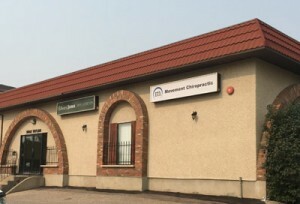 For the convenience of clients, Movement Chiropractic Saskatoon is happy to provide direct billing to most group benefit providers for chiropractic treatments, acupuncture, massage therapy and physiotherapy. 1. What information do I need to set up direct billing? We need to know which insurance company you use and your Plan/Policy number, Member ID number and your birthdate. If you are not the insured member, we will also need the name and birthdate of the insured member. 2. Which insurance companies can you direct bill to? Blue Cross, Green Shields, Great West Life, Sun Life Financial, Manulife, Chambers of Commerce, Desjardins, Industrial Alliance, Maximum Benefit, Johnson, Johnston Group, Cowan. 3. Why can’t you direct bill to my insurance company? We are only able to direct bill to insurance companies that are setup for chiropractic, massage therapy, and physiotherapy direct billing. This is not our decision, it is the decision of the insurer. 4. What does it cost for me to be set up to direct bill my insurance provider? 5. What does my Health Insurance Plan cover? Most health insurance providers cover most or all of the costs for chiropractic, massage, physiotherapy and acupuncture treatments up to a maximum value annually. We recommend checking with your insurer for full details on your insurance plan and coverage. 6. How long does it take for the billing to go through? In most cases, we will have a reply back from the insurance company by the time that you are done having your treatment. 7. How much insurance do I have left? We are not able to access this information, but we can tell you what we have billed for you for the year.